Chinese jade jewellery is very popular in China,most of Chinese collecting jade jewelry nowadays .people may ask why Chinese people love jade jewellery so much,we have to look back to Chinese culture since ancient dynasty, in the past .only very rich people and noblemen could afford green jade jewelry,it symbolized beauty, noble dignities, elegant and positive energy.sometimes jade can be found in the bury carve with an ancient nobleman, jade has the same position as gold threads. it is no longer exclusive to the nobles, jade holds an important place in Chinese culture, Chinese jade jewelry are also believed to have a mystical power, bringing peace and protection. 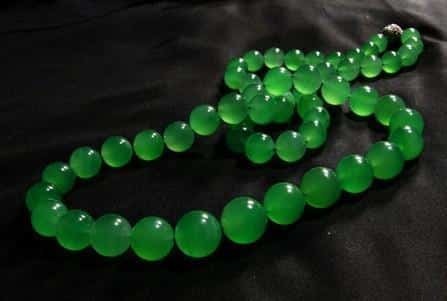 For example, jadeite bangles are common gifts in the Chinese culture as grandparents often present them to their grandchildren as a source of protection. There are many stories that tell of a jade bangle breaking by absorbing negative energy, leaving the wearer unharmed.as the price is going up heavily day and day, some people buying very expensive jade for investment, they consider to pass the jade jewellery to next generation, and next generation pass to the third, so the jade jewellery can stay in their families forever and keep the value going up all the time. fengshui is a Chinese metaphysical and quasi-philosophical system that seeks to harmonise individuals with their surrounding environment.it is including wind and water, sun and shadows,they can changed people’s body magnetic field,if you have a good fengshui surround your body magnetic field is good, you will gain all the positive energy everything will be good, f the fengshui is bad, that means everything will goes to a wrong way, Chinese people always care about fengshui ,fengshui check can use for new business, marriage, sickness, move house, everywhere.when people found fengshui is not right they need a natural thing to change fengshui, jade jewellery is the most people’s choices, because they are natural, they have got the spirits of nature essence, type B, and type C jade are treated so they lost their effects,you can see people put a Bagua jade into a water tank or a pixiu or a toad holding a coin in the mouth in their corner of someone’s house ,that is because of this.